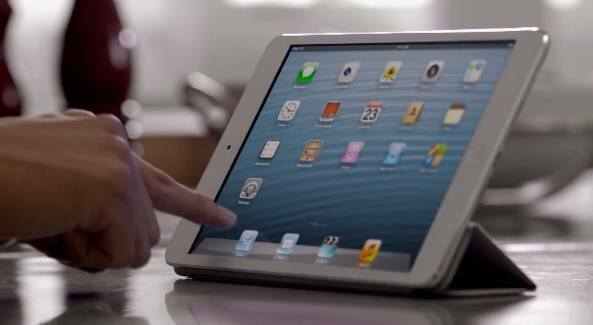 How did holiday sales of tablets shake out? Although sales numbers aren’t yet available, we can get some idea of which devices were in most demand. 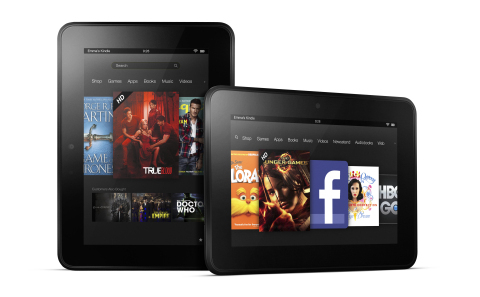 For instance, Amazon’s Kindle Fire, followed by Samsung’s Galaxy tablets and Google Nexus devices were the top three non-iPad products serving ad impressions in December, according to an ad firm. Per data, for every hundred iPad impressions, the Kindle got five, the Galaxy got three and the Nexus just a bit over one impression. 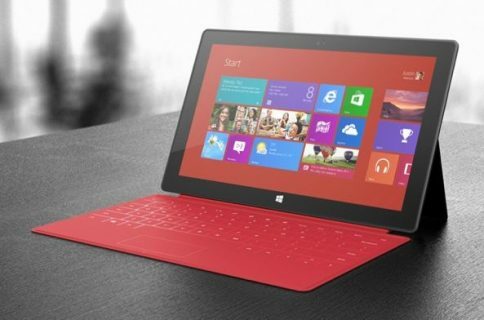 What about Microsoft’s Surface, which flooded the holiday airwaves with commercials and product placements? 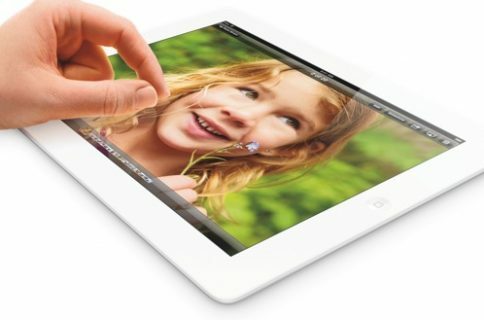 For every hundred iPad impressions, the Surface registered a whopping 0.22, according to Chitika. By the way, the anemic numbers of the Surface mirror the tiny 0.13 fraction of tablet traffic reported reported earlier. 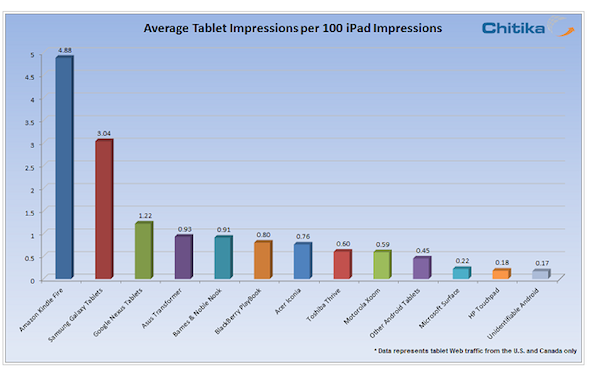 Obviously, the Kindle Fire did best against the iPad. The 4.25 percent share of tablet impressions December 8-14 was a twenty percent increase over the same time last year, when the analytics firm announced a 3.75 percent share of tablet traffic. The Samsung Galaxy, after all the free publicity from its rancorous court fights with Apple, gained only a fraction of North American tablet traffic. The South Korean firm’s percentage rose to 2.65 percent, up from 2.36 percent a year ago. Google appears to be the dark horse, little discussed, but registering a fifteen percent increase over 2011. 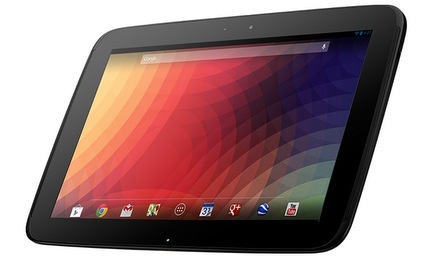 According to Chitika, the Google Nexus family of tablets rose from 0.91 percent of tablet impressions to 1.06 percent in December. 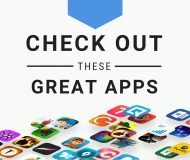 All of which brings us back to the iPad and the doom-and-gloom forecasts that Apple’s tablet is rapidly being outpaced by Android alternatives. 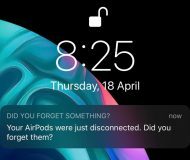 At least in North America and in terms of advertising, the iPad plummeted an entire one percent – 87 percent now versus 88 percent in November. 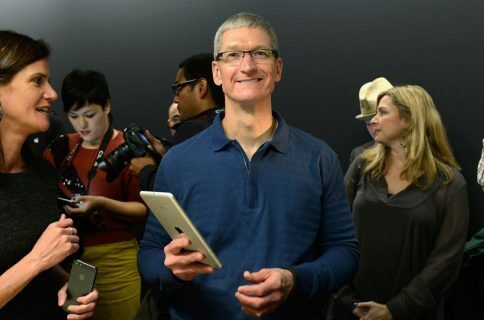 No doubt, Apple executives are nervous at the prospect of their closest competitor gaining 0.68 percent in a year.